This Deluxe Cargo Carrier with Loading Ramp is perfect for hauling mobility scooters, push mowers, power washers, etc. 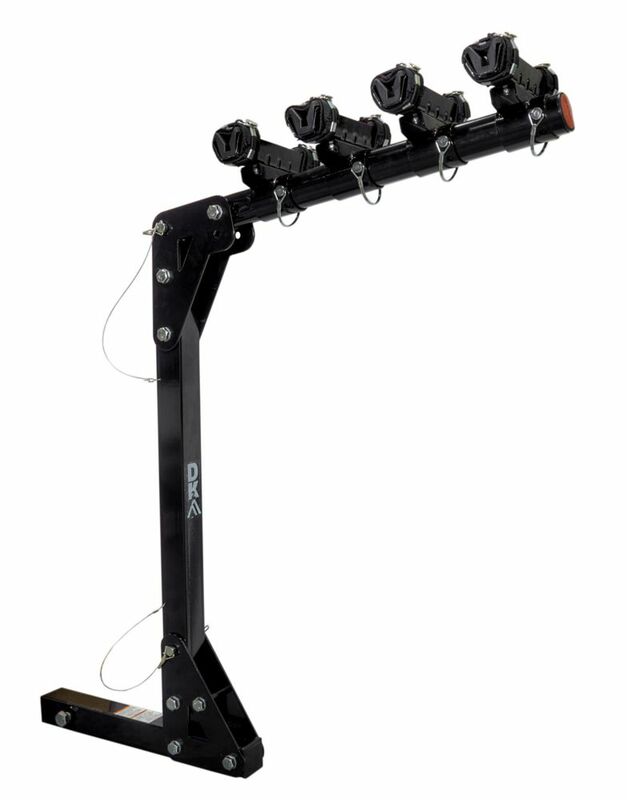 It features anti-slip surface for added traction and an anti-wobble hitch pin to stabilize the carrier when inserted into your hitch receiver. This carrier has a 400lb. rating, but always remember to check rating on hitch receiver. The QuickDraw Overhead Gun Rack is the perfect way to safely keep your firearms at your fingertips. Ready for action! Also, for utility vehicles with covers on the top, your firearms stay totally protected from the elements. The QD854OGR holds two guns securely in the inside roof area of some popular brands of UTVs; including Kymco, Razor, Bulldog and other UTVs with inside upper roof frames measuring 10 in. to 15 in. from front to back.